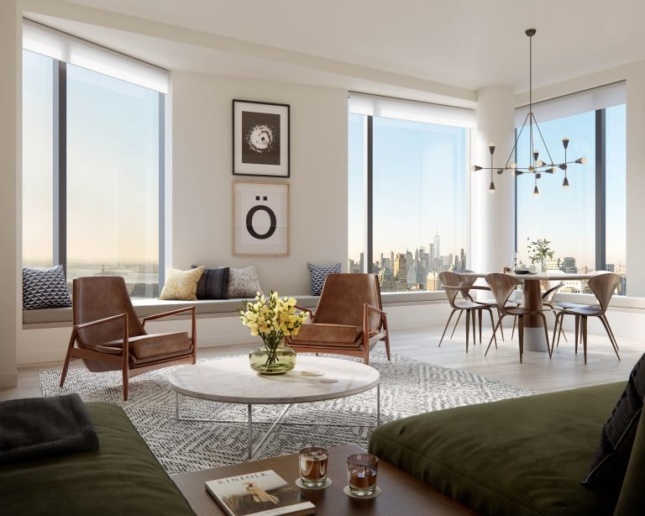 Sales have officially begun for 11 Hoyt Street, Downtown Brooklyn’s upcoming 770,000-square-foot residential tower designed by Studio Gang Architects. The 480-unit curvilinear skyscraper is impressive by virtue of its unique shape and gigantic size; its 57 stories occupy a full city block. 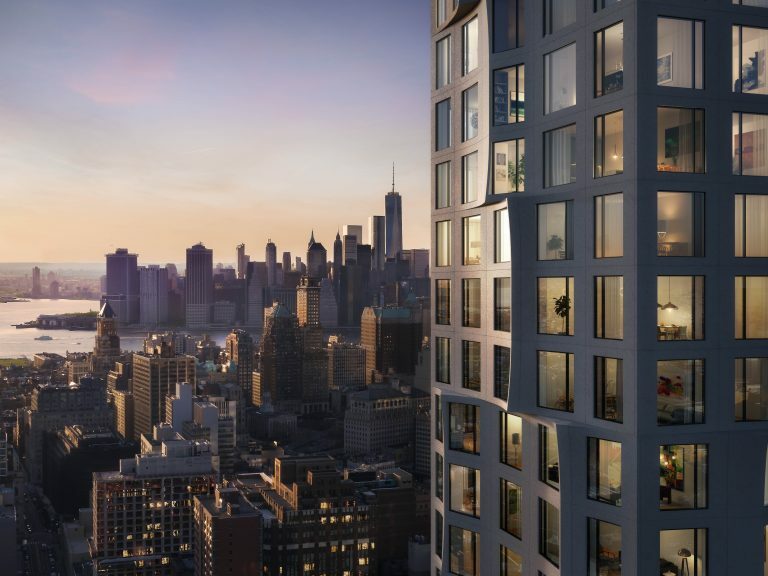 Studio Gang founder Jeanne Gang is leading the project, with plans to transform the site of a once-dismal parking garage into one of the tallest and most luxurious skyscrapers in Brooklyn—a modern work of art. The proposed building is noteworthy for its beveled and undulating facade, which differs drastically from the ubiquitous glass skyscrapers that currently populate the area. 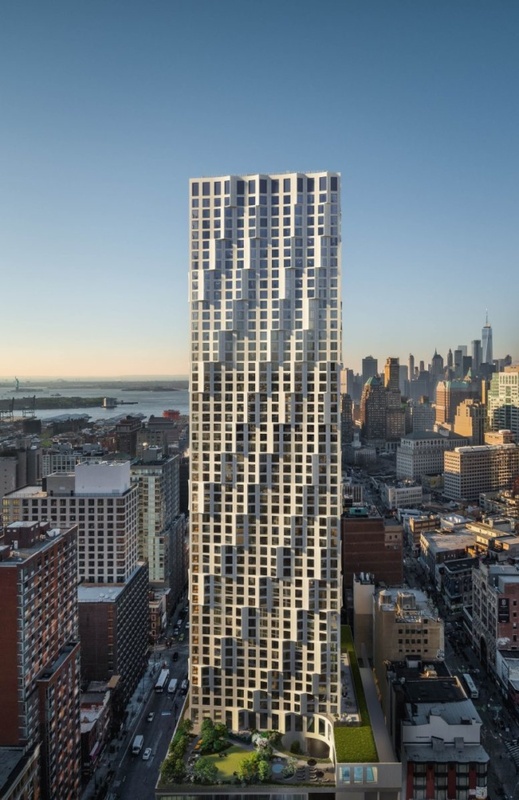 Each window on 11 Hoyt will be individually framed by the building’s precast concrete skeleton, with multiple sections extruding outward to form a diagonal, rippling wave pattern across the height of the tower. When the sun shines down on the facade, it will create a unique play of shadows that will accentuate the building’s animated and flexible appearance, while highlighting its glass and concrete sculptural elements. The project site, bordered on four sides by Hoyt Street, Elm Place, Fulton Street, and Livingston Street, is conveniently situated just blocks away from multiple subway lines. 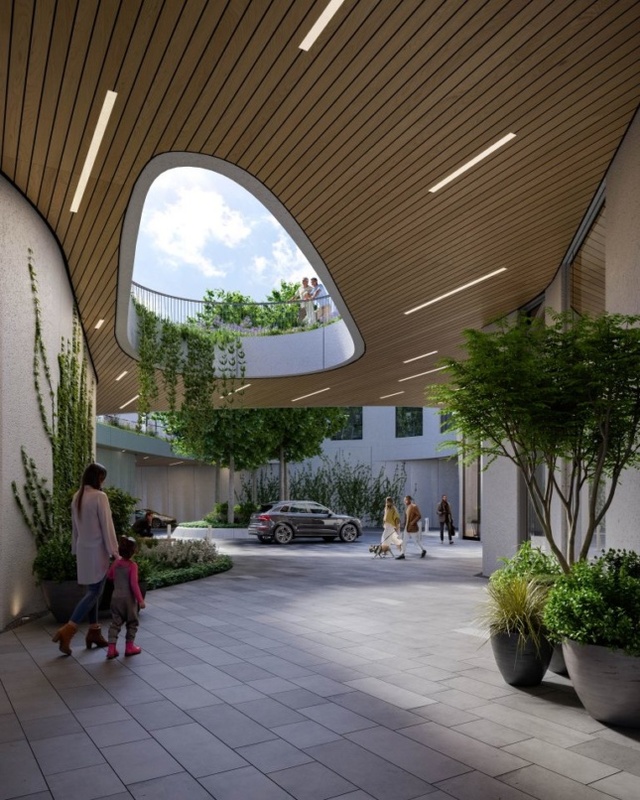 Residents who choose to approach the building by car can enter through the outdoor-landscaped porte-cochere, which connects directly to the main lobby. There are a total of 480 units in the building, with interiors designed by London-based Michaelis Boyd Associates. The smallest studios start at $600,000, and the largest four-bedroom unit is priced at $3,400,000. While the floor plans come in nearly 200 different variations, each unit has ten-foot ceilings and eight-foot-tall windows with spectacular views of the Lower Manhattan skyline, Brooklyn, and Queens. Over 55,000 square feet of indoor amenities can be found at the base of the skyscraper, including a lavish cinema, cocktail lounge, library, performance space, private dining area, study lounge, and virtual game room equipped with a golf simulator. A separate Sky Lounge can be found on the 32nd floor. Perhaps 11 Hoyt’s most notable amenity is its 27,000-square-foot private elevated park located atop the second floor, which will become the largest in all of New York City for any residential building. The landscape, designed by Edmund Hollander Design, will hold a sun deck, fitness area, hot tub, children’s play area, and multiple lounge areas. 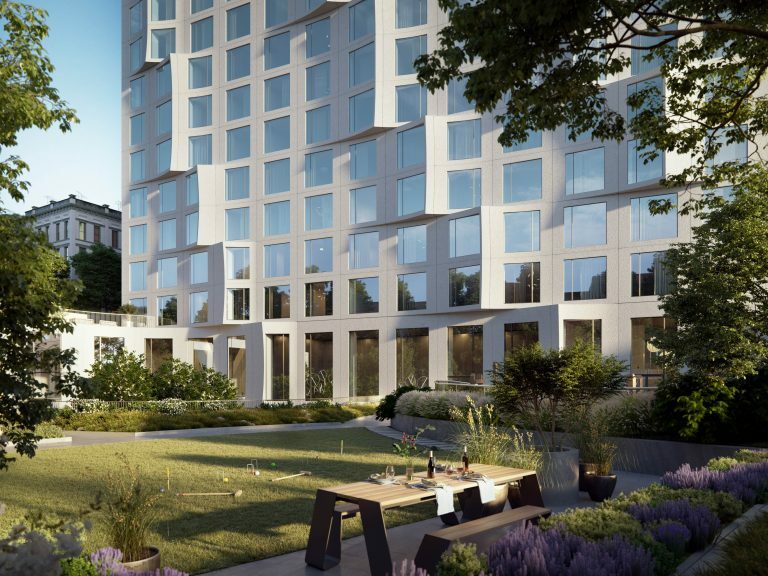 Next to the private residential park will be the “Park Club,” a massive space that will house a 75-foot saltwater swimming pool and a private fitness center designed by The Wright Fit. The project is expected to be complete sometime in 2020.